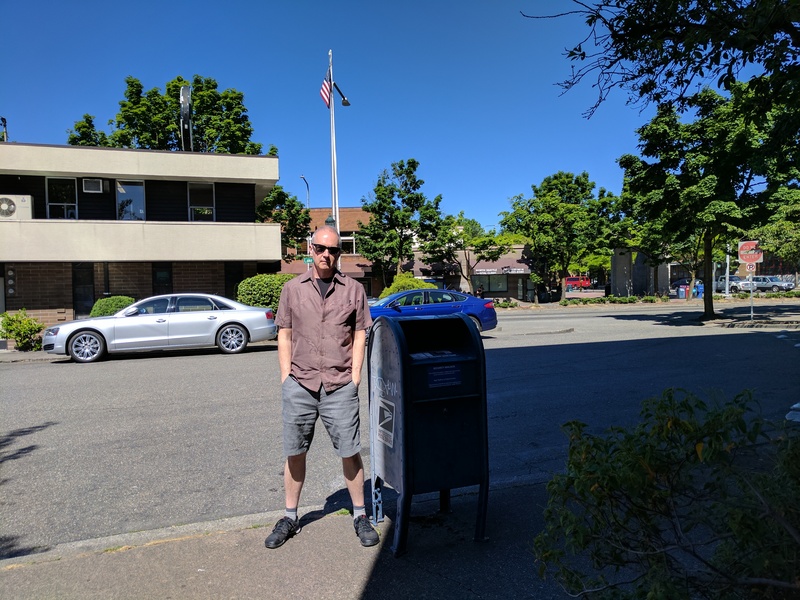 116) This is one sneaky mailbox. Why, you ask? Because it did not appear on any of my so-called official lists of Seattle mailboxes and I would have totally missed it had I not caught a glimpse of it while cruising up Lake City Way one afternoon. Even now, you can see how shifty it is by the way it hides in the shadows. Nice try, box… but I got you.